So, you’re 16 and starting a band with your mates. You go to the local guitar store and buy the cheapest guitar that you can afford. Sound familiar? Well, how many of you found out 40 years later that your ‘student’ guitar that you’ve kept all those years is now worth A HELL OF A LOT OF MONEY?!!! 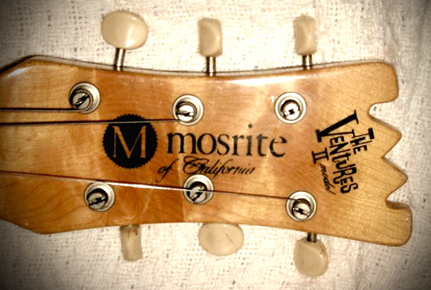 A few days ago I received a message from Doug, who had read Tim’s Mosrite Ventures Mark II guitarnerd story. 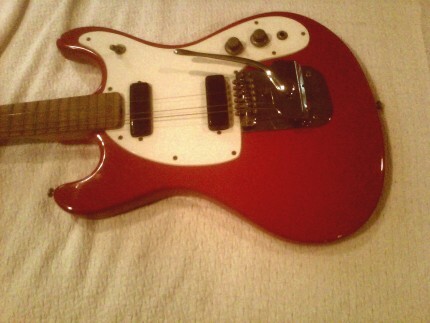 Doug said he had a red Mosrite Mark II that he’d owned since the 60’s and had only played about 12 times, and was wondering what it was worth. First thing I thought was… no way could this be a slab bodied Mark II. Maybe Doug had the more common Mark V, which while still being a great guitar, were nowhere near as rare. The Mark V was the Mark II’s replacement when Semi decided the Mark II’s were too cheap looking and canned them. Holy snapping duck sh*t!!!! No doubt about it, this was a real first generation Mark II in near mint condition. 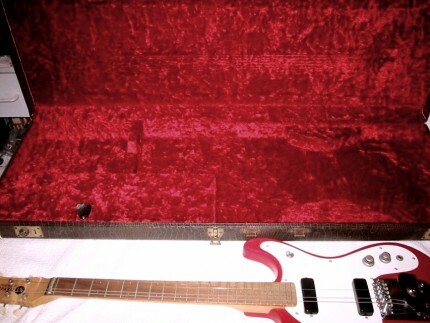 The Johnny Ramone guitar. 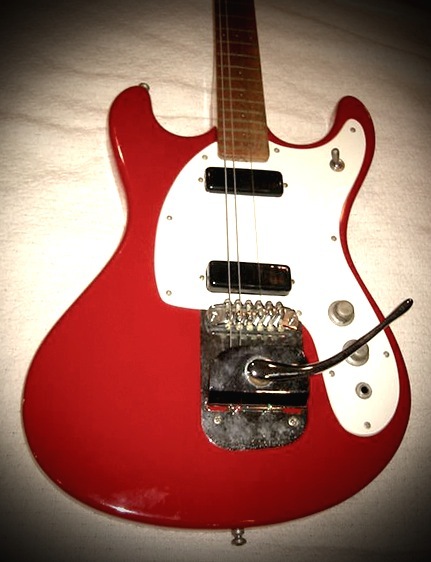 The holy grail of Mosrites. I emailed Doug back for more info & pics, and this is what he sent. Thanks Doug for sharing your amazingly rare guitar with us. So, if any of you have a mum, dad, uncle, aunt, neighbour, mail man or garbage collector who played in a band in the sixties with their mates, ask them if they still have their old guitar tucked away in their closet. And then be very, very, VERY nice to them. Now, please excuse me. I have to call some distant relatives. yeah, my boss used to play in bands in the 60s and had some og fender stuff, including an original bass VI. Which he sold about a week before I started working for him. 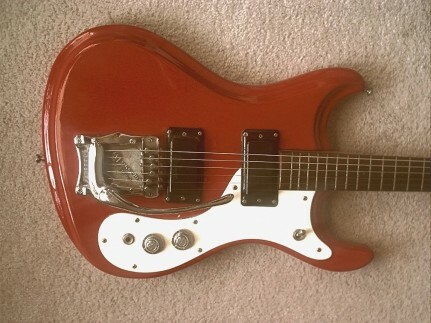 FYI… I have a Sunburst Mosrite Mark II I bought from a friend back in ’67 or ’68 — he was selling it so he could buy a new Rickenbacker. It’s in great shape and is a blast to play! I’m searching for a Mark II When somebody wants to sell it, please contact me. 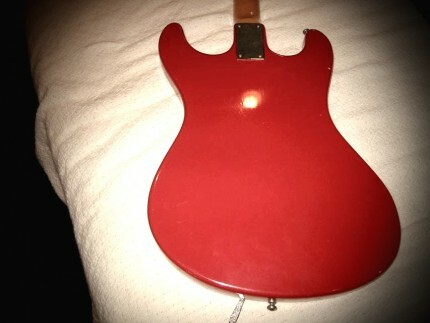 I have an original Mosrite Mark V with original case. It has a black headstock and the serial number is B1186. I purchased it used in about 1966. I would like to sell it if anyone is interested it has a few minor dings but was purchased that way. I was not in a band and only played casually.